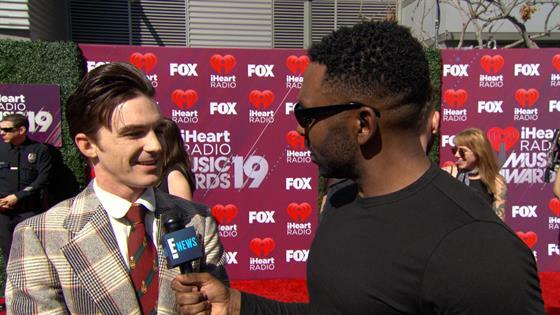 Drake Bell told E! 's Justin Sylvester he and his TV brother Josh Peck—the two starred opposite each other in Nickelodeon's Drake and Josh for four seasons and two movies between 2004 and 2008—are at work on…something. "Well, not exactly Drake and Josh, but Josh and I have been talking. He's come up with some cool ideas. And, yeah, I can't really go into exactly what we're doing, but it's going to be really cool and exciting. I'm really excited to do it," Bell said. Whatever the project is, Bell said he's looking forward to the fan reaction. "Everywhere we go we get, ‘When's the reboot? When's the reboot? When are you guys coming back?'" he said. But don't call it a reboot or a revival following an older Drake Parker and Josh Nichols. "Neither of us want to do a reboot," Bell said. "It had to be something cool, it has to be something creative, so, no, honestly I never thought that we would be coming back…I think we've come up with something that's a little bit more creative and a little more exciting." Bell and Peck first worked together on The Amanda Show starring Amanda Bynes. He said his bond and chemistry with Peck was instant. "I don't know what it is, but it works," he said. What could the new Bell and Peck show be? Bell isn't commenting, but reboots with a twist are all the rage these days. Much of the original cast of Beverly Hills, 90210 is coming back to TV in 90210 where they'll be playing fictional versions of themselves trying to reboot the classic primetime soap. Something meta from Bell and Peck doesn't seem too wild to imagine. Where the project lands is another question. Nickelodeon is keen on bringing shows back to life, with plans for new Rugrats, All That and Are You Afraid of the Dark? already announced.